Flights and accommodation bookings are indeed the most important aspects of travel planning. But if you want to fully enjoy your trip, you should take a look at our essential list of tasks to consider before you travel abroad. As you cannot travel abroad for free (unless you are the lucky recipient of academic travel abroad programs such as travel abroad scholarships), you should first take care of your finances. Apart from making sure you have cash on you, you should also pay your bills or other important orders in advance, and check if your account details are updated. We are sure that the last thing you wish to happen while traveling overseas is get your accounts locked. Check the international exchange rate in your country and purchase some foreign currency ahead of time. Research the international exchange rate in the country you’ll be visiting as it may be more convenient to have your money exchanged there. Do not exchange money in airports. The exchange rate is significantly higher than in a local bank or at the ATMs. Keep your bank on the loop on your traveling abroad plans to avoid them suspecting frauds and freeze your card. You may want to check the following Bank of America traveling abroad tips concerning international transaction fees, exchange rates, best credit card for traveling abroad, and protecting your money before you leave. Estimating expenses is equally important. Even if your accommodation and flights are booked, once you’ll get to your destination there will be plenty of temptations thrown in your way from good restaurants to souvenirs shops. Transportation costs should be researched too before you travel abroad. There are convenient options to review like day passes or weekly passes that allow access to all public transportation means from trains to subs. Depending on the country you visit, it may be inefficient or too expensive to order cabs. Start by mapping out at least your first drive or even plan the entire itinerary. There are always unexpected things that can happen so it’s better to control as many aspects of your traveling abroad as you can. Additionally, if you have anything being delivered to you while you are away, you can place stop orders online. Note that this affair require a two days’ advance notice. So, hopefully, you will be reading this post at least a couple of days before your travel. 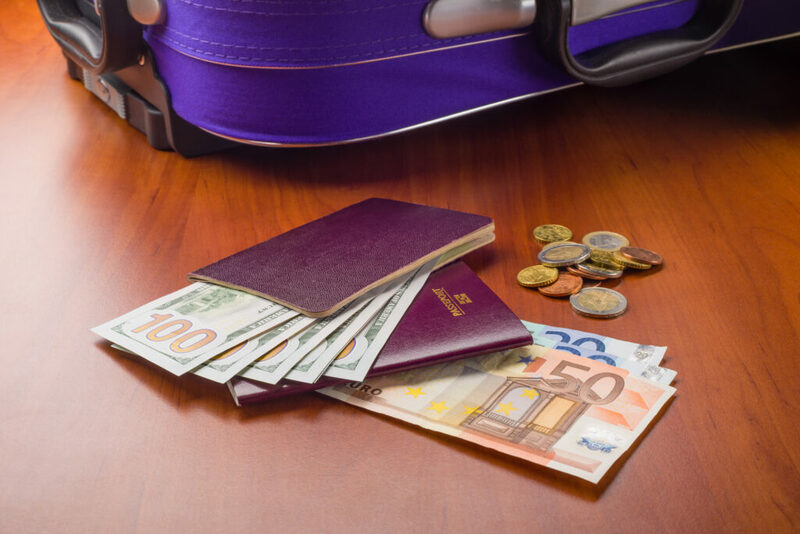 Dollars, Euros, Passports, and a Suitcase: Get Ready for a Business or Holiday Travel Abroad. Let’s start by explaining what a consent letter is and why is it recommended to check if you need one before traveling abroad with your kids. Note: consent letters for children travelling abroad, also known as travel permission letters or travel consents for a minor, are not legal requirements that apply to all countries. The United States, for instance, does not require such documentation. However, there may be countries which will ask to see it. Failure to provide this authorized document can result in you being detained or your trip delay. What Is A Consent Letter For Children Traveling Abroad And Why Would You Need One? Such consent letters are required for children travelling abroad alone, with one parent or accompanied by people who are not their legal guardians. So, if you want to take you kid with you when traveling overseas and your partner cannot join you, there are countries that ask for his or her written consent. This is also necessary if you travel with someone else’s kid (nephew, student, sister or brother who do not have the age of majority, etc.). What Should You Include in Your Child Travel Consent Doc? Start and end dates for the journey. It is best to keep a photocopy of your passport and other important stuff you have in your wallet (cards, tickets) in a secure place. In case you lose your wallet, you will congratulate yourself for writing down emergency phone numbers too. Contacting the right people without any unnecessary panic will get your trip back on track easier. For those who have a business or have an office-based job, it is important to take care of your partners and collaborators. Set automatic replies to any email you get while you are traveling abroad so to ensure the people you work with know you are away. Don’t forget to specify an end time as well for this reply option to deactivate when you get back home. If you need more indications, here is a useful guide on setting up out-of-office messages for Outlook users. Choosing the travel insurance plan that best suits your traveling abroad purposes can significantly reduce financial and health risks. As we’ve already touched on the subject a few times, maybe you’d be interested in checking what types of coverage you can get, as well as your best international health insurance options. A good medical insurance for traveling abroad can save you from great trouble. There are so many “best-of” lists to look over before traveling abroad: best restaurants, best places to visit, best shops. Review them from home so you can buy tickets or make reservations in advance. It is easier and more convenient. Unless you will be traveling to places with most unpredictable weather conditions, a weather forecast can enhance your peace of mind. This is a task that can greatly influence your packing strategy checklist. What to pack when traveling abroad? Start by ensuring you take with you the things you need such as rain coats, hiking boots, etc. Sometimes, a smart travel abroad checklist can really make the difference. There are, of course, many other important things to consider before you travel abroad, especially if traveling abroad alone. Besides the fun part of reading more about the local habits of the places you visit, you should also research on the less pleasant aspects you may face such as unsafe areas or the country’s current state of affairs. For more tips for traveling abroad, such as easy packing ideas and light packing tricks, you should check out our travel packing tips and checklists section. Hope our post proves useful to you. Feel free to reach out and leave your feedback in the comment section below. Happy planning!